Going ahead with Australia Announce Squad for ODIs against India: While Australia and India were toiling it at out at the SCG on day 2 of the fourth and final test match between the two sides, news started drifting in from the Australian camp. It brought with it, the 14 man squad announced by Cricket Australia for the upcoming three-match ODI series against India. The squad saw heavy cuts and changed being inflicted by the country’s governing cricket council, with only six players retaining their place in the 50 over setup from the last ODI series played by the nation. Ruthless in their approach, CA booted out Travis Head, Chris Lynn, D’Arcy Short, Ben McDermott and all-rounder Ashton Agar after their uninspired and insipid performances recently. 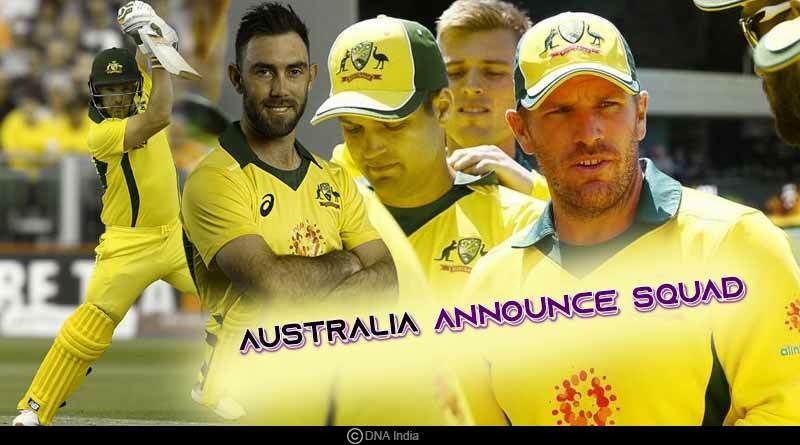 Looking to breathe new life into the Australian team which has endured possibly one of its worst years in international cricket, the CA were ruthless in their approach, sparing no non-performer as they drafted in new faces for the three-match ODI series against the tourists. “All three (Head, Lynn, and Short) have had opportunities to cement their spots but, unfortunately, they have not been as productive as we would have liked in recent times when playing ODI cricket for Australia,” Hohns said. National selector Trevor Hohns said that after Australia lost to South Africa 2-1 at the start of the summer, a change was needed to turn things around especially with the world cup looming in just over three months. It’s not just the bowling line-up that has seen changes though with several underperforming batsmen getting the axe as well. Looking to shore up a currently weak and not so solid batting unit, Australia announced the squad for ODIs against India with an eye on being able to post competitive totals consistently. Test players Mitch Marsh, Peter Handscomb and Usman Khawaja were called up to earn an ODI cap while Aaron Finch will continue to lead the line. The ODI series follows the last test match of the series with the first ODI being played on 12 January at the SCG.